“And I’ve been pushing them at you all week. What makes a good villain? We’ve seen they need purpose,sympathetic credibility, and to believe they’re doing the right thing. Add in some troubled backgrounds to explain their villainy, and of course, throw in a side of charisma to keep them intriguing. From what I’ve gathered from your comments, readers and movie-goers LOVE to HATE great villains. And I’m no different. Many of my favorite characters ARE villains. They’re so much fun to live vicariously through. Hint: This blogger has silent letter in the last name. I only have 4 letters to go and then I can forget how to spell anything for a while. I’ve been exhausted doing this. 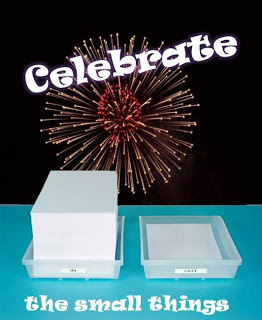 And I'm celebrating you for doing this! Can't thank you enough for being such an amazing and valuable part of the AZTech Team. Here's to you, Lee! I do love a lovable villain. But I like my reality with a dash of Disney. Exhausted as well by this month of A to Z. But I have enjoyed every letter. I like what Cheryl said, she really summarized my feelings quite perfectly. I like a character who isn't just a flat, stereotype villain. He or she needs to be just as developed as the main character. Complex villains fascinate me. Yep, nearly at the end of the month – Z is in sight! All those doing the challenge will deserve a rest, hope you've had fun though. Why is it that we love to hate the villain? Often when there is a villain we are shown the bad side but with a dash of good side added. I think that most people when they see something good in a character tend to try to understand why they are so bad. I also think that we sometimes can relate to a villain in some way. It's been a crazy month, but I'm still going to do A to Z again and again. I had tip of the tongue syndrome trying to remember PK. She swirled in my gray matter. I've always been a Captain Hook fan. I especially like his incarnation on Once Upon a Time. Darth Vader is just misunderstood. I agree with the three points in your post! We're almost done. Villains can add so much depth to a story! No idea who this one was but, after seeing the answer in the comments….it makes perfect sense. The #Challenge all but over and here I am trying to visit blogs right up to the last minute. Glad I found you this evening. Love finding another writer who gives me good tips to think about. Thanks for all the work it takes to make the last day. Unless they are Disney villains, who usually get their deserved desserts, I am not a fan of evil villains. Altho I have all my posts lined up and ready to go, I am exhausted as well. trying to keep up with the blogs I follow and check out the sign-ups has left me worn out. Brain fizzles. Over from the A to Z.
Ta dah! Yep, here I am again. Gosh, I have enough trouble spelling her last name. Never mind the silent letter. I do know her and she's another one of my adoring fans. I will never have as many adoring fans as you, Lee, but I can dream delusional dreams. And more bonus cookies. Yay and enjoy your weekend. Well, half a weekend. Good old Mr. Alphabet Dude lets you have Sunday's off for good behaviour, sorry, behavior. Your always welcome. Next time I will have more cookies or something. Off to enjoy Sunday because I've been relatively good. I don't know who that is, but that's an awesome theme! 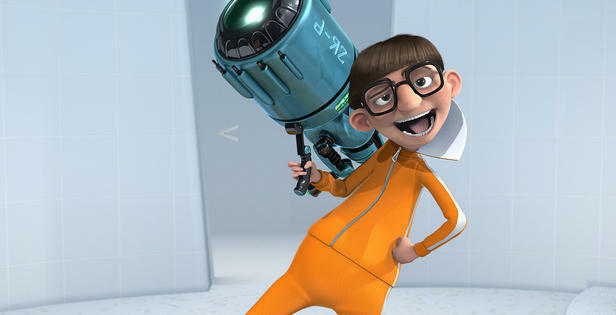 Vector is one of my son's favorite villains. "Oh yeah!" Alas, I don't not know PK. This would be PK Hrezo, a fellow mod and such a sweetie! I know the last name's Czech, but I wonder what the PK stands for… Persephone, Petronilla, Philomena, or maybe simply Peggy? There is definitely nothing like a good villain! The trick is to make the villain a slight bit likable…but not too likable. Uh-huh to what Susan has said…those comments are perfect! Do I hear applause. Great. I like it when people agree with me. You're hired. I knew I recognized this one but couldn't remember until I saw the other comments. Surprised I forgot as this was a really fun theme! I am also totally drained by the A-Z. I wasn't really in the spirit this year I don't think. You did some wonderful posts, Julie. I so enjoyed them. Cheating is always good! We loves those that cheat and admit! You get points, girl. PK! It's been a trip and a half hopping around all the blogs for this challenge! I think we'll all need a vacation after this! I've missed most of PK's posts, but I like the couple I read. Why can't there be more hours in the day, right? A couple more would be good. i've really enjoyed all these mystery blogger posts! and Q was elizabeth? she was one of my guesses but iii didn't think i was right! yay for Liz! can't believe it's almost over! Brain is dead! Must stop. I can no longer think of A or Z. Almost over. Vector! Oh, yeah. My husband has threatened to go as this character for Halloween. 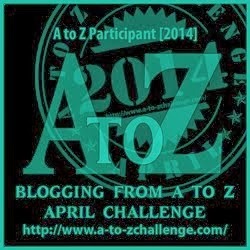 As for this A to Z challenge, it's been fun, but I am exhausted. I'm ready to wake up and not have to come up with an interesting word. And I need to spend more time on editing my wip. I'm up later this morning but still just a few ahead of me. Guess folks are wearing down as Aprils draws nigh. I think I call reading that post and the previously mentioned answers sound good to me. The silent letter clue actually stumped me until I started typing this comment then "Hrezo" hit me. No silent letters in "hit". Early, but still able to think! I'm not as sharp, I'm afraid. I see above that people pick PK. My favorite villain is Umbridge from Harry Potter. Thanks for jumping in, Theresa! "… silent letter in the last name…" That didn't help me. The A to Z has fried my brain!!! Did you know PK is an international airline agent and I'm related to her? She's actually my sistah from anotha mistah. The world shrinketh more and more! PK!! Her posts were cool. Good morning. You never tire! Yes, of course I let Alex or one of his clones, get here first.